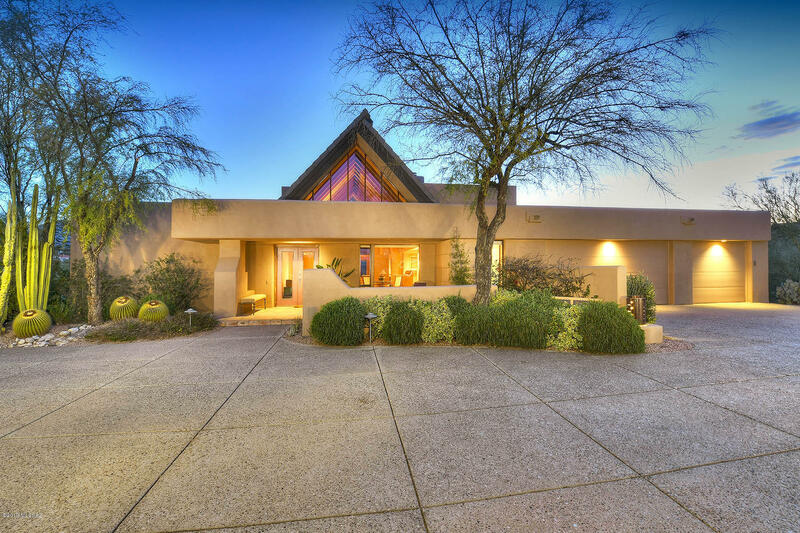 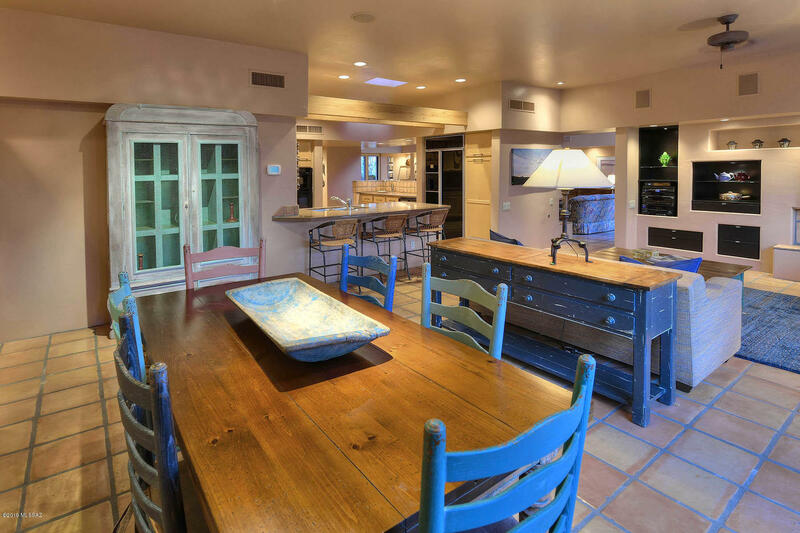 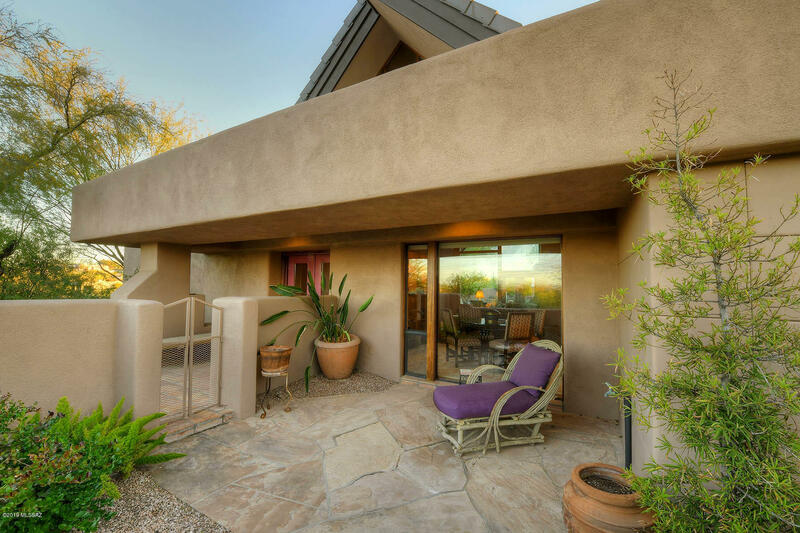 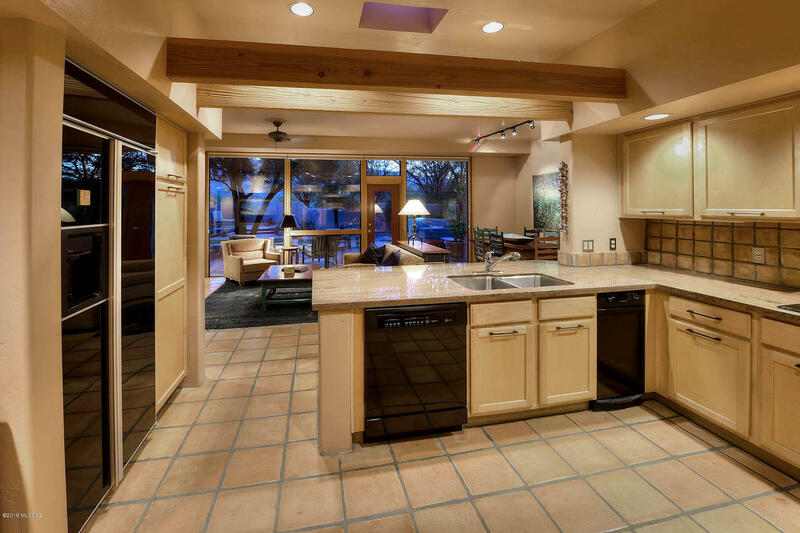 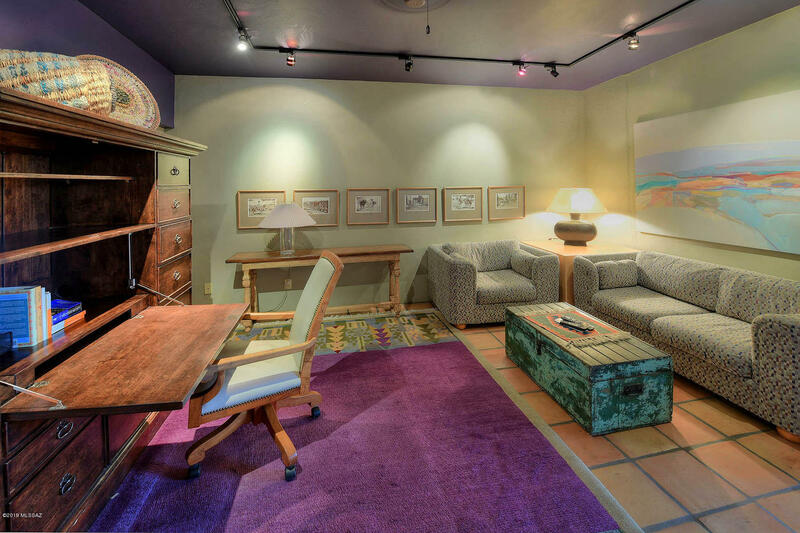 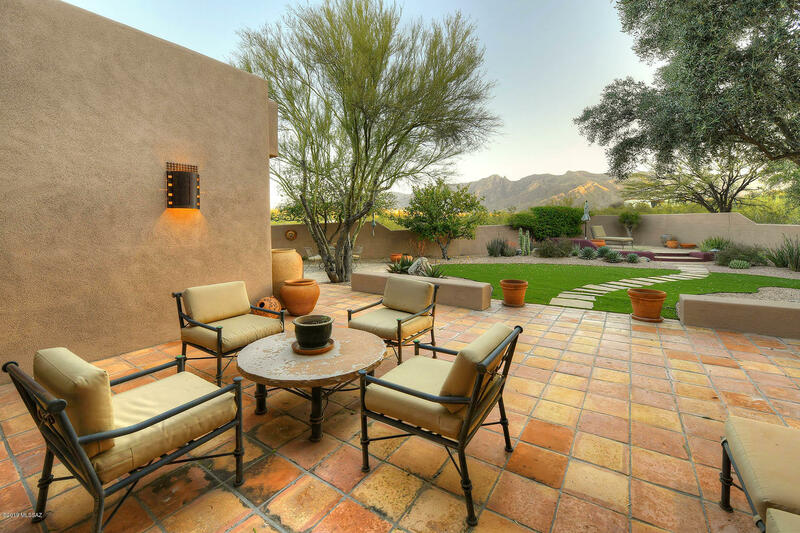 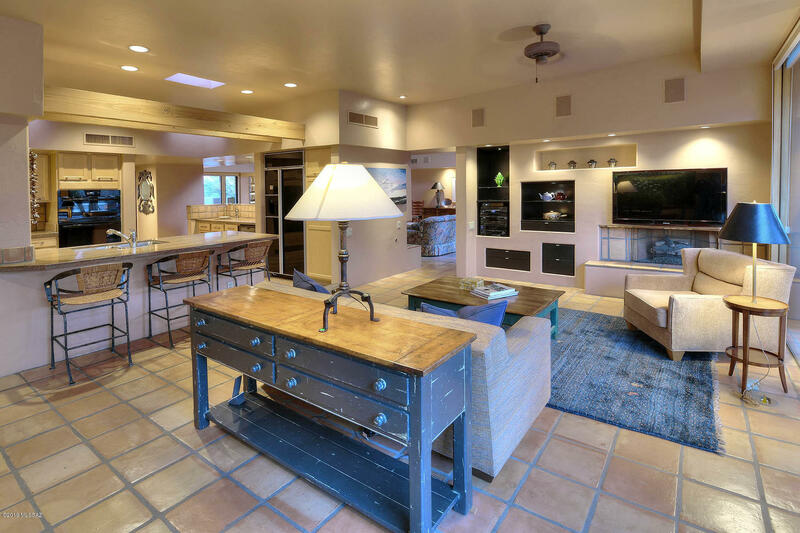 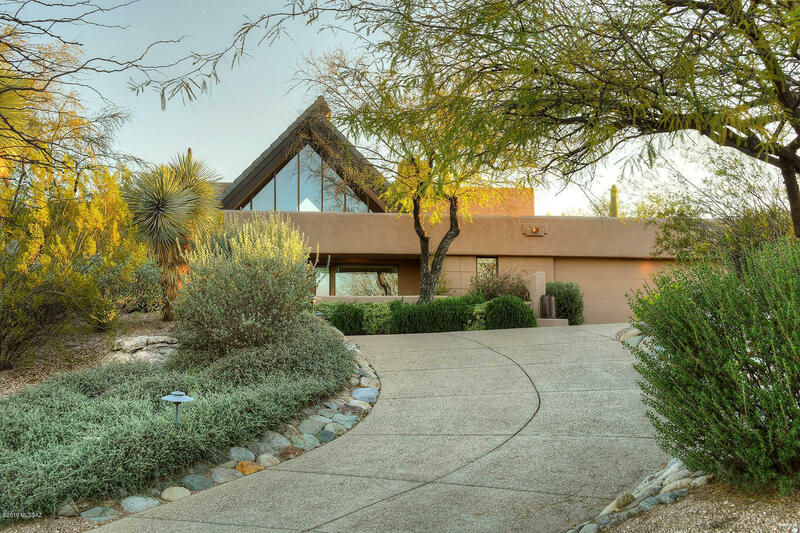 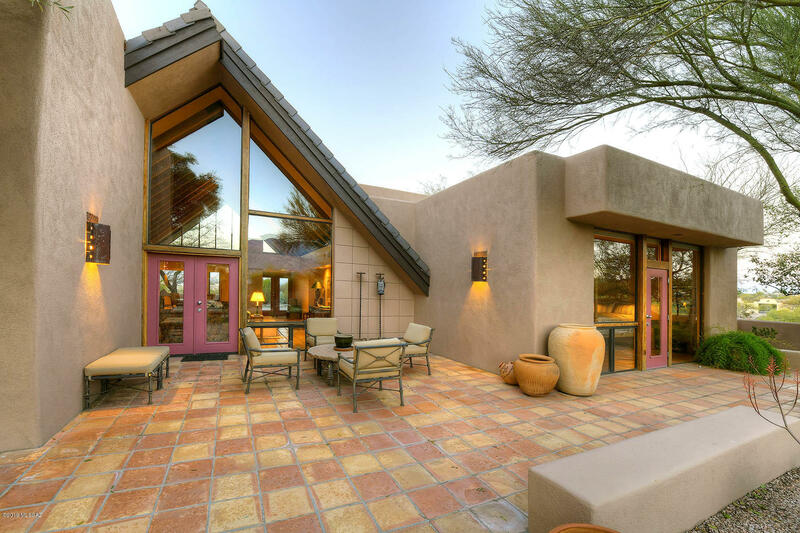 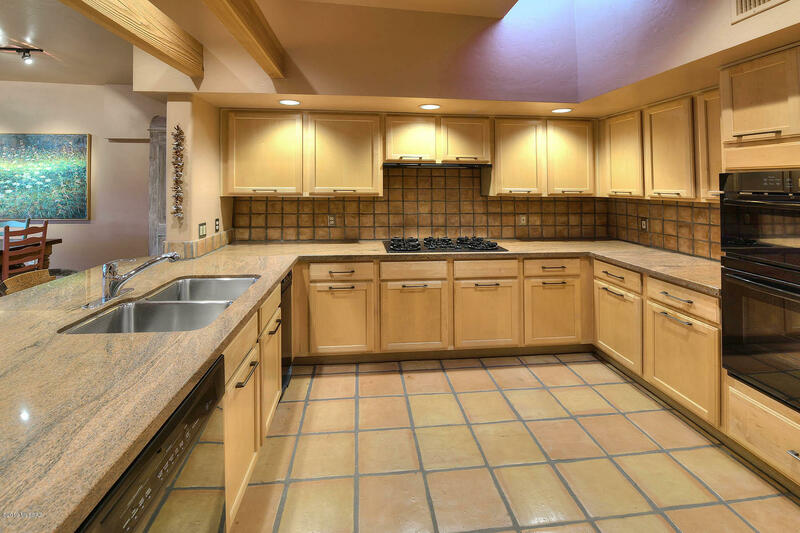 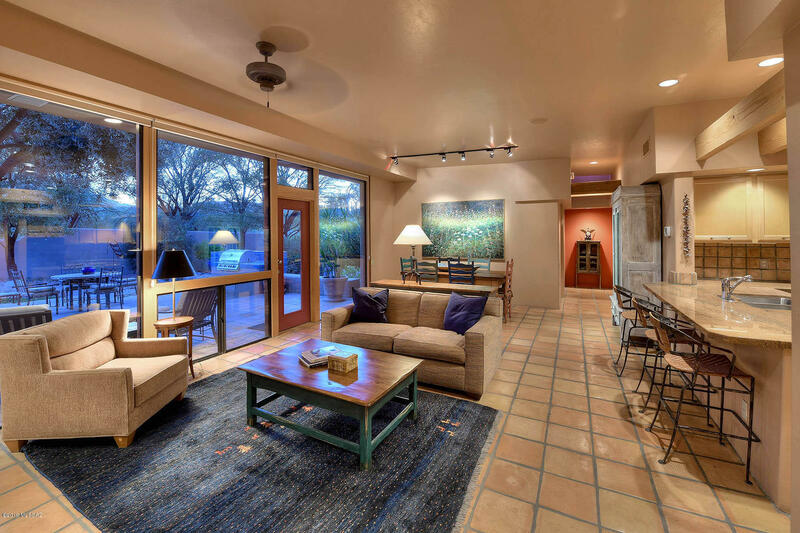 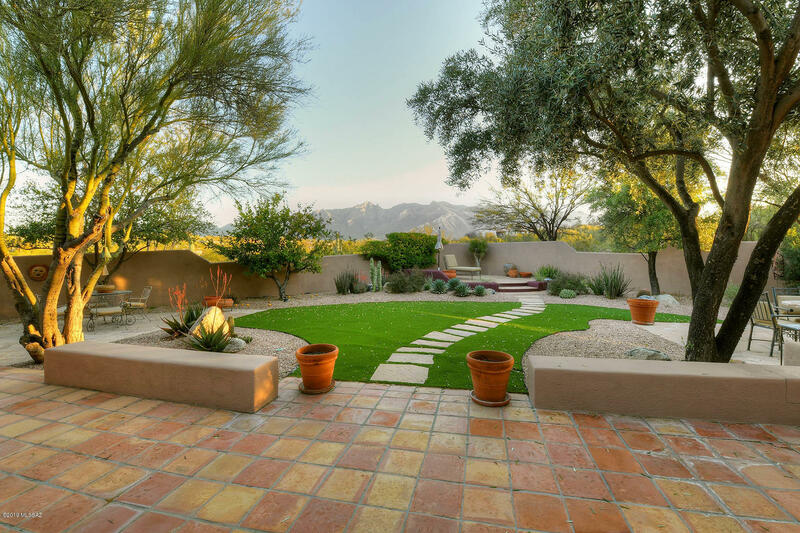 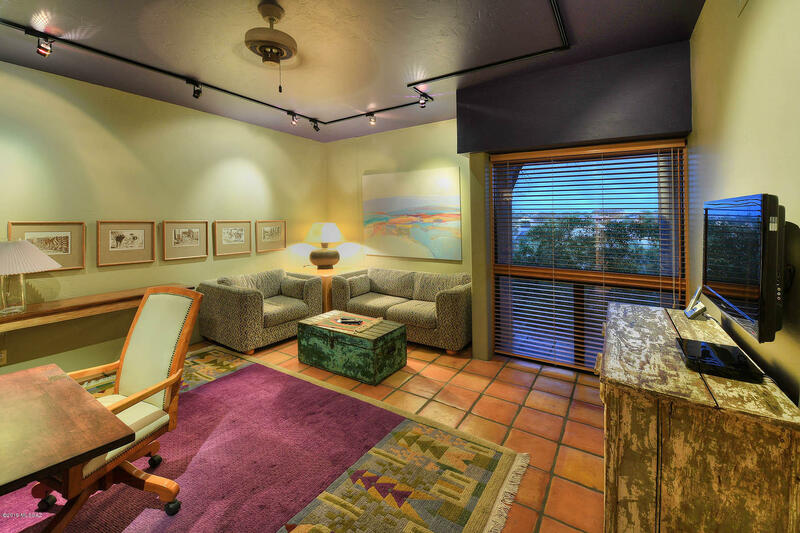 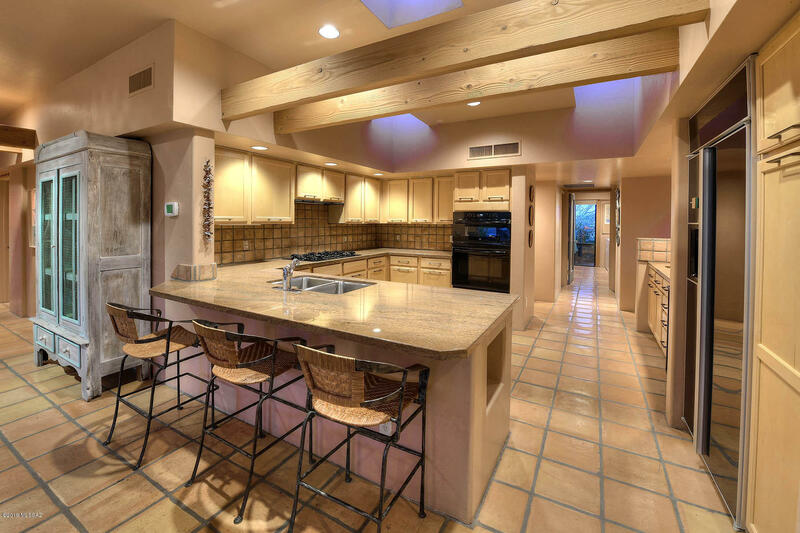 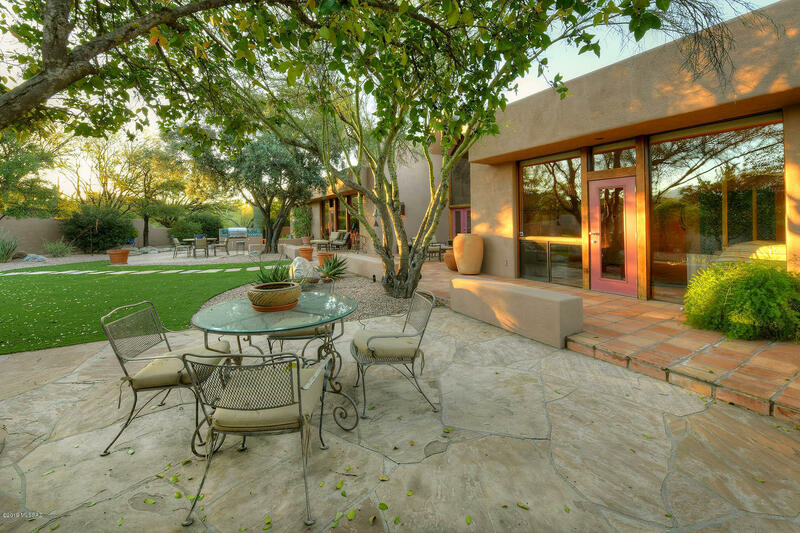 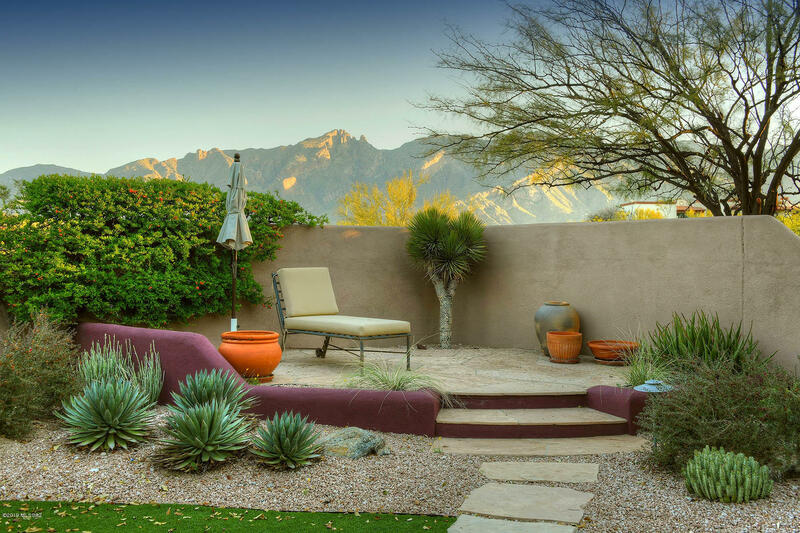 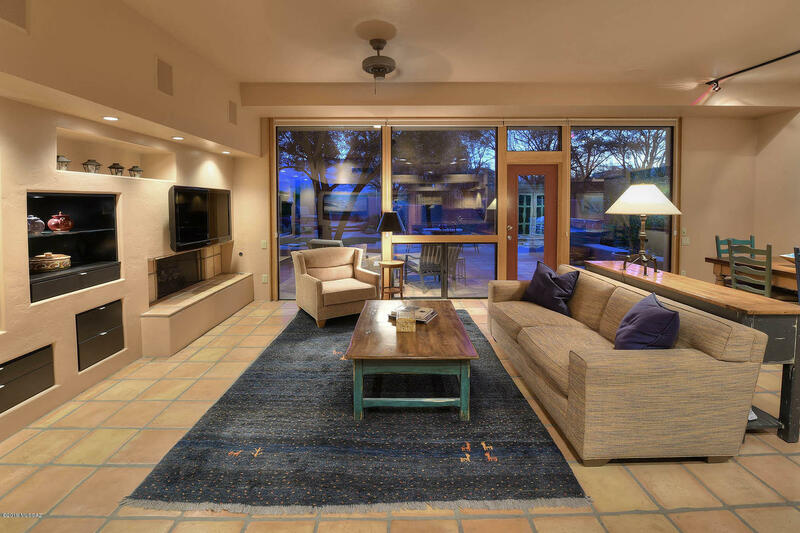 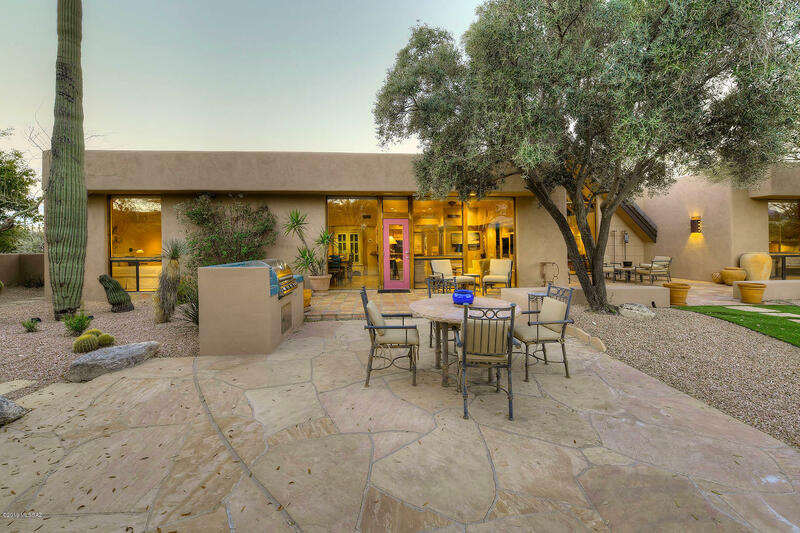 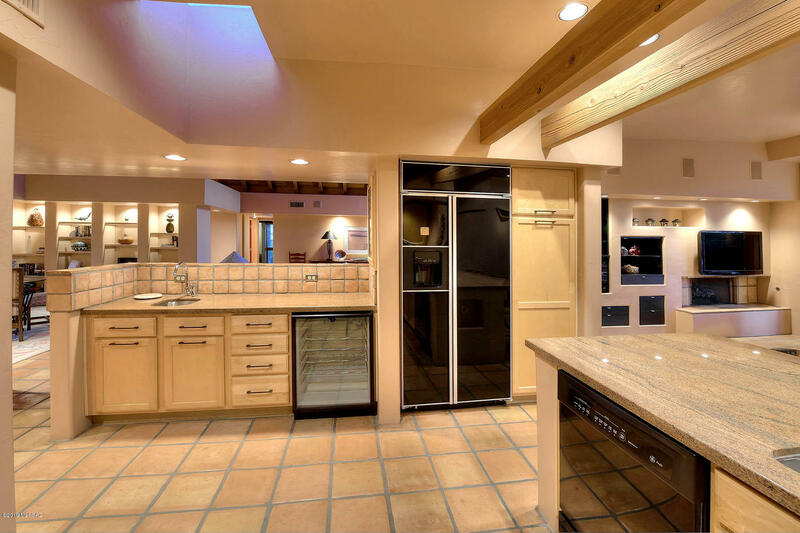 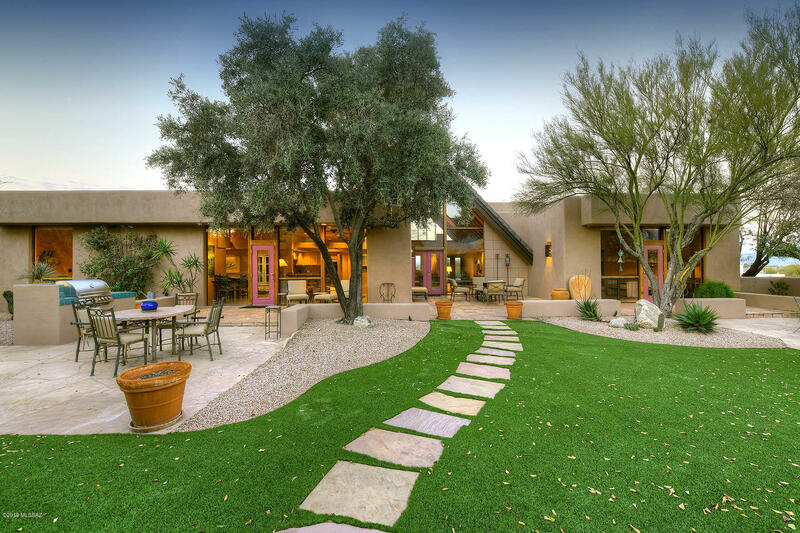 Remarkable southwest contemporary Tyson Murphy design in prestigious gated Village on Hacienda Del Sol subdivision. 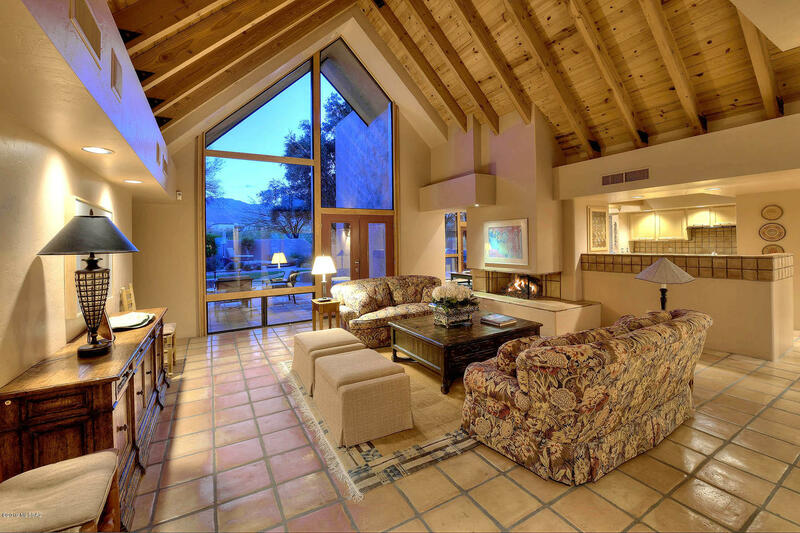 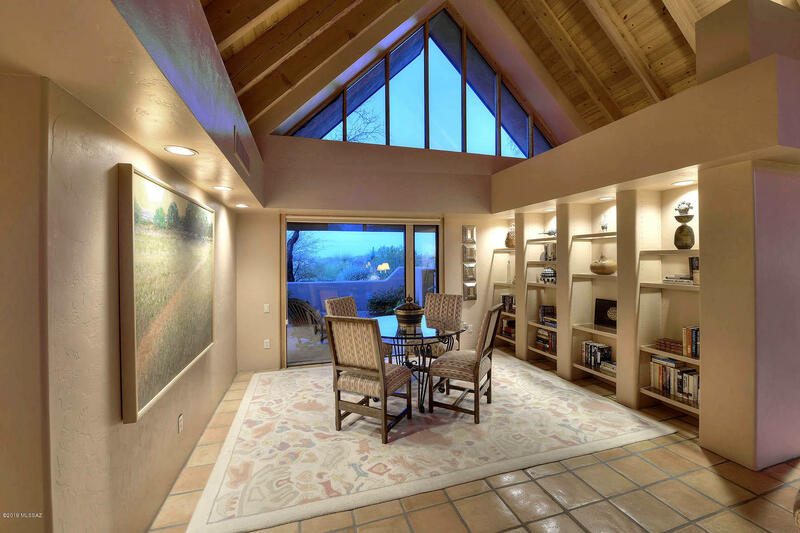 Live comfortably and entertain lavishly with walls of windows that showcase spectacular mountain vistas. 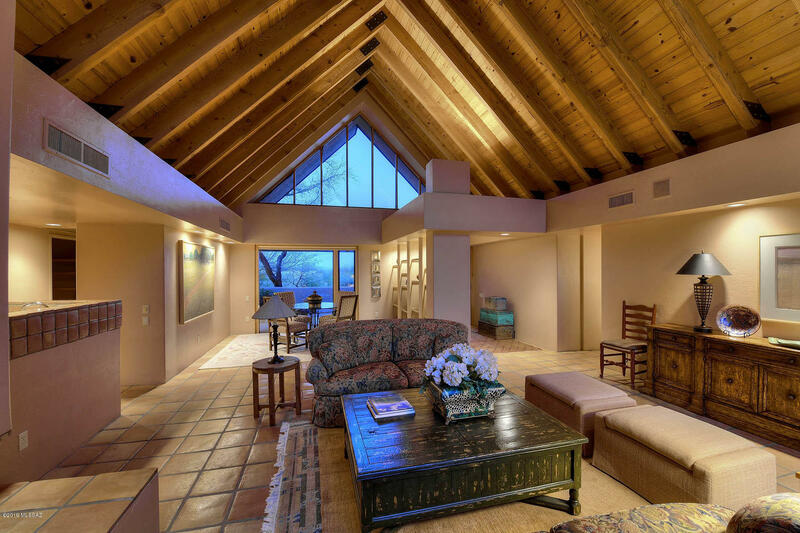 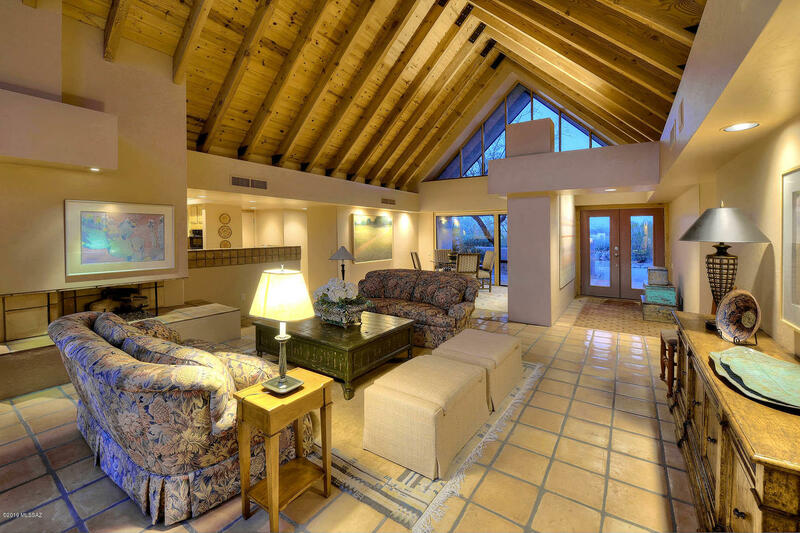 Formal living features cathedral wood beamed ceiling & cozy fireplace. 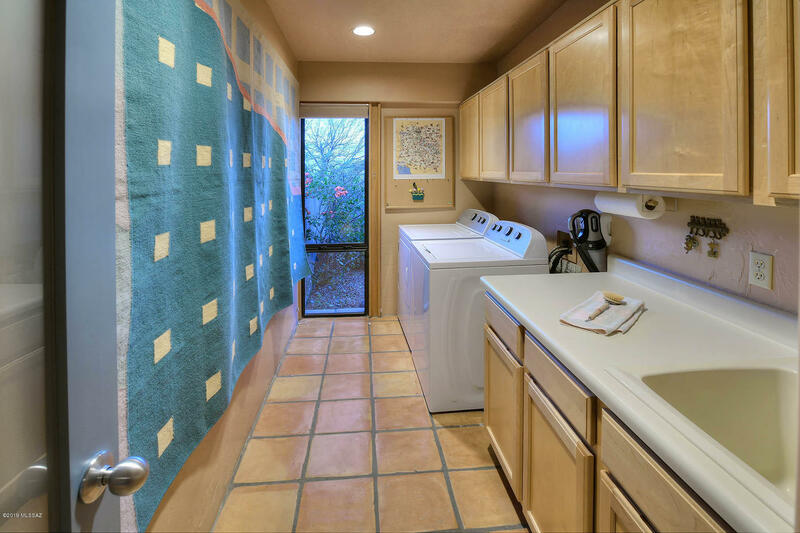 Generous kitchen with granite, some newer appliances & prep sink open to family room & large eat-in area. 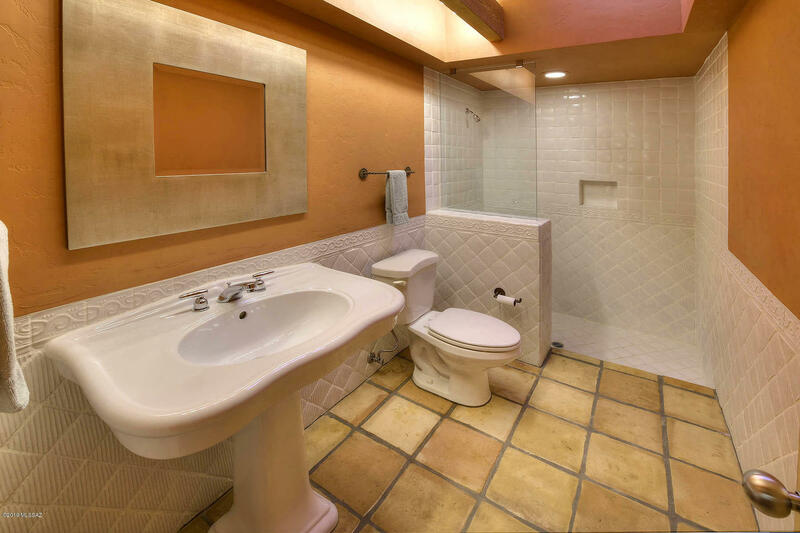 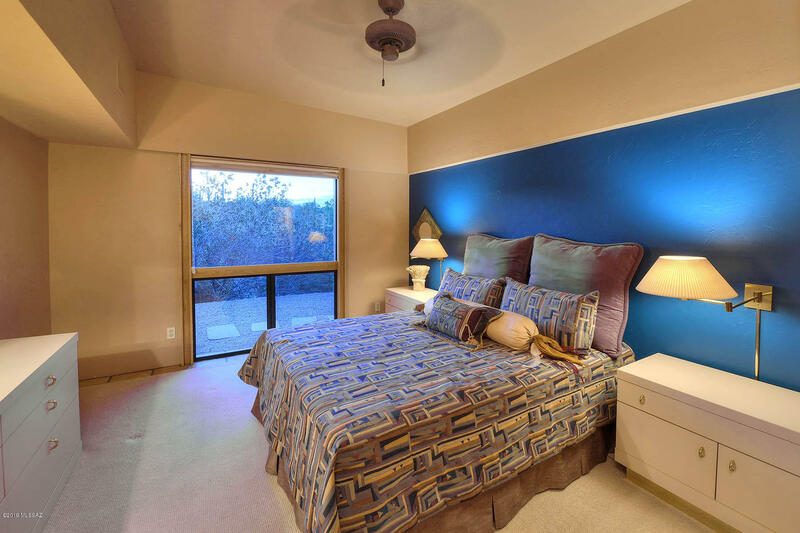 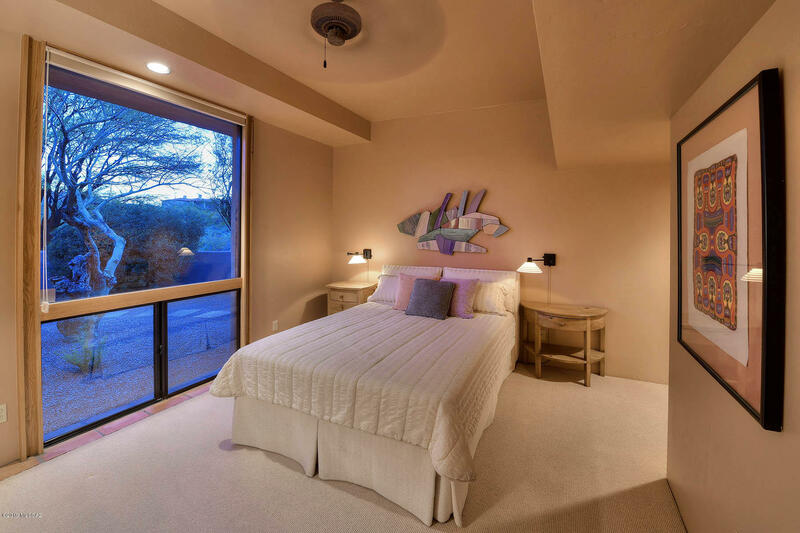 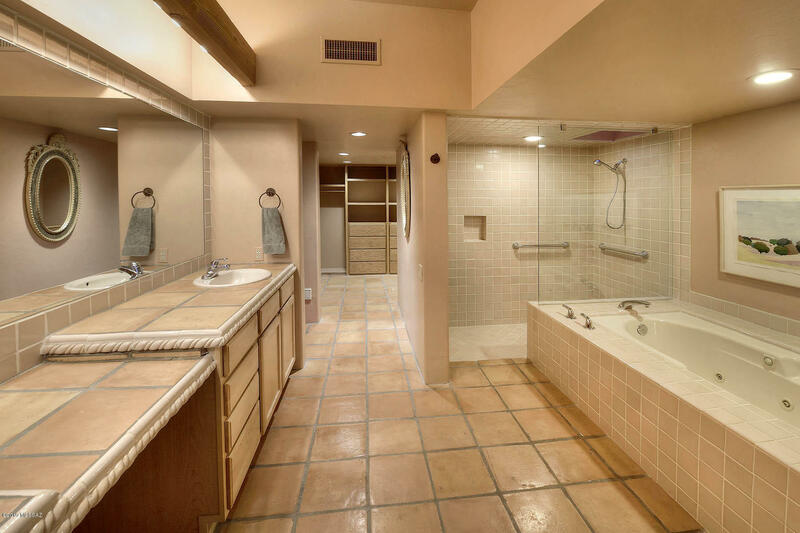 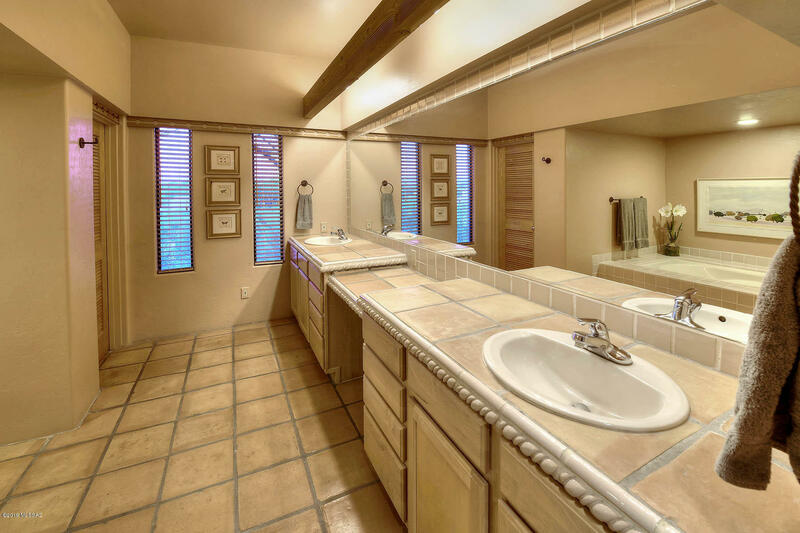 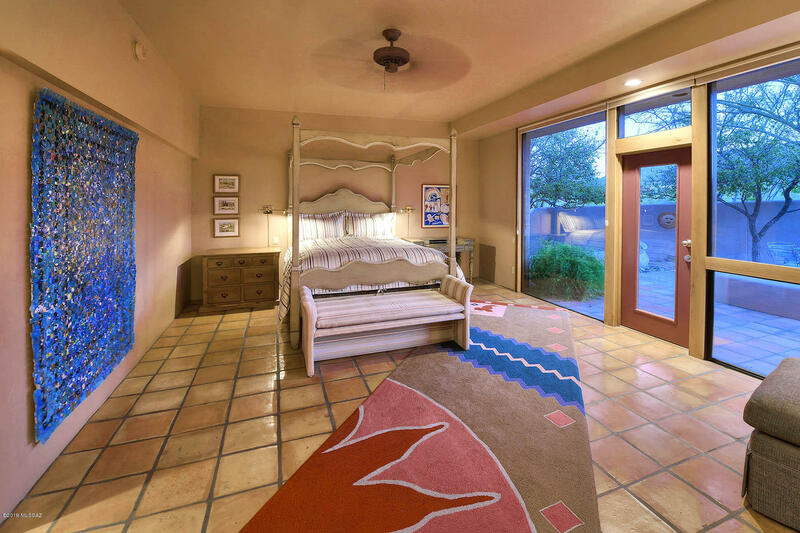 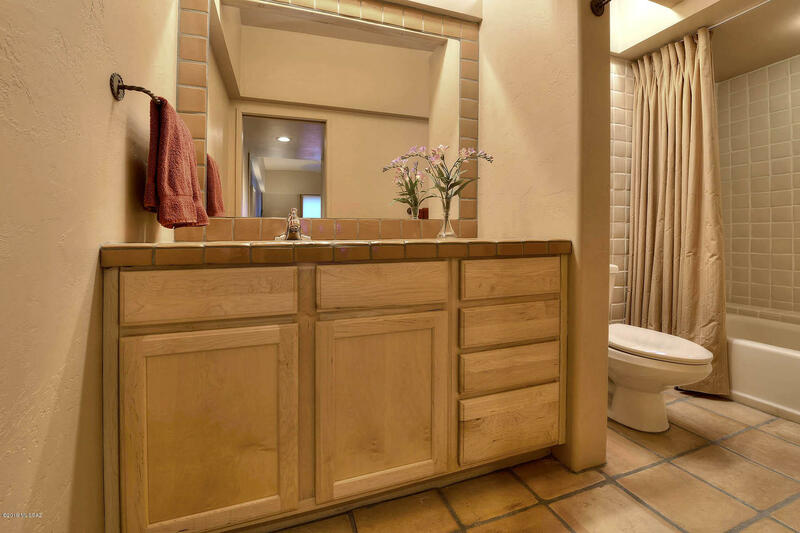 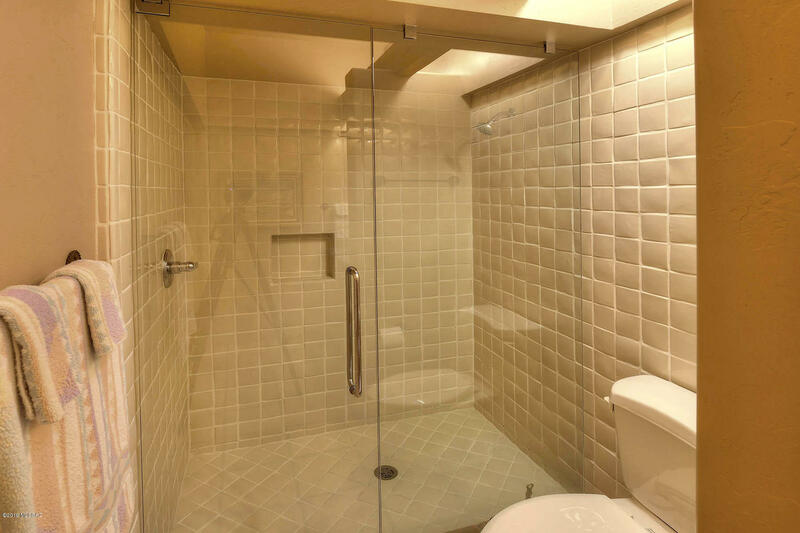 Light filled Master suite with jacuzzi tub, spacious tiled shower & walk-in closet. 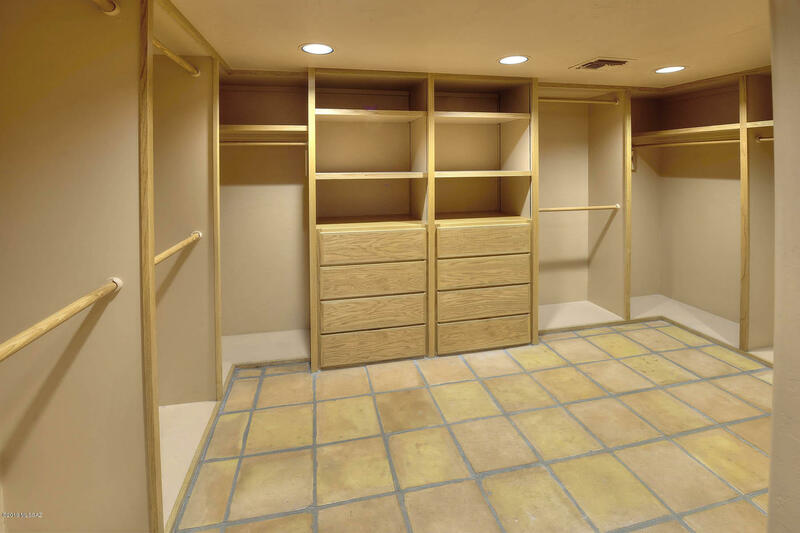 True to design are en-suite guest bedrooms w/spacious walk-in closets. 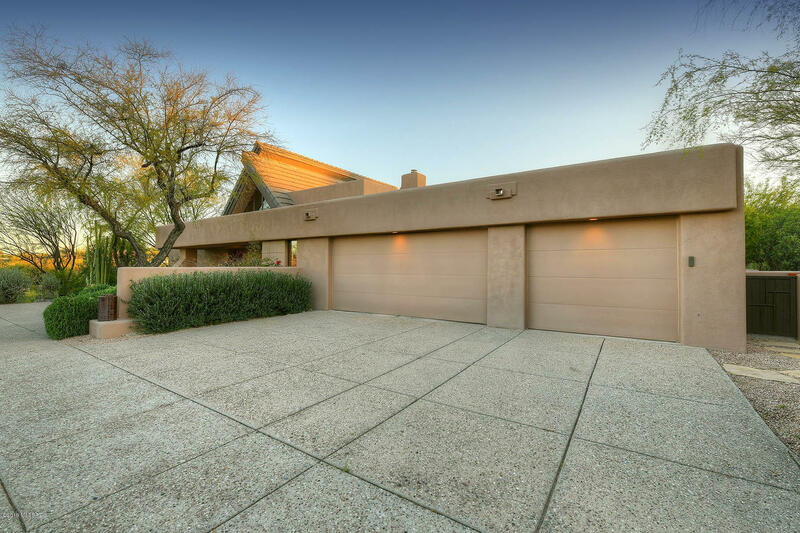 Enjoy the surround sound throughout & newer exterior paint. 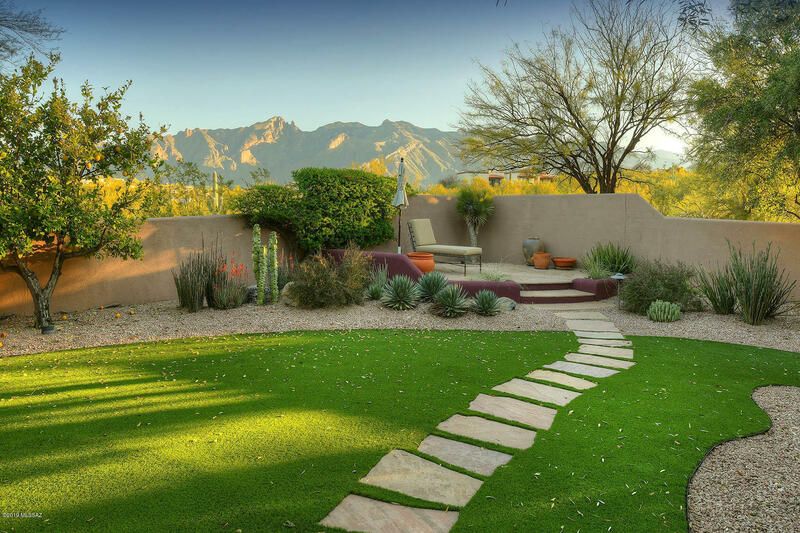 Easy care landscaped yard with new BBQ. 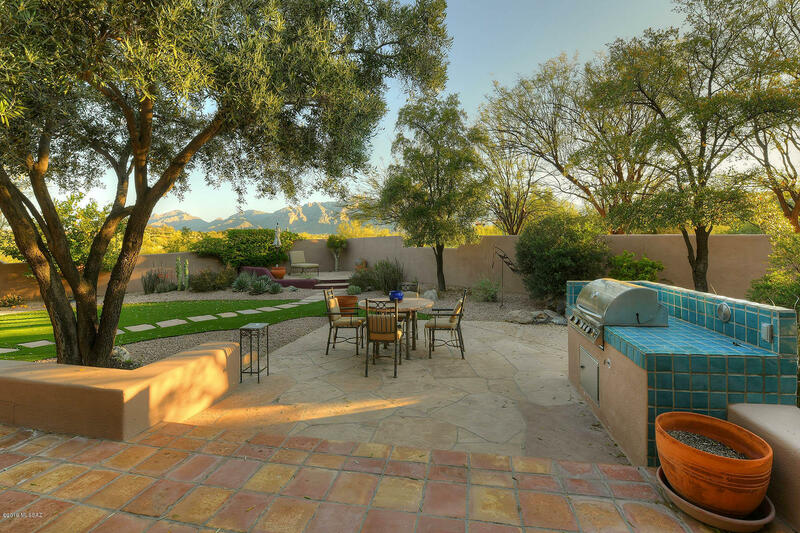 One acre elevated cul-de-sac lot with stunning views! 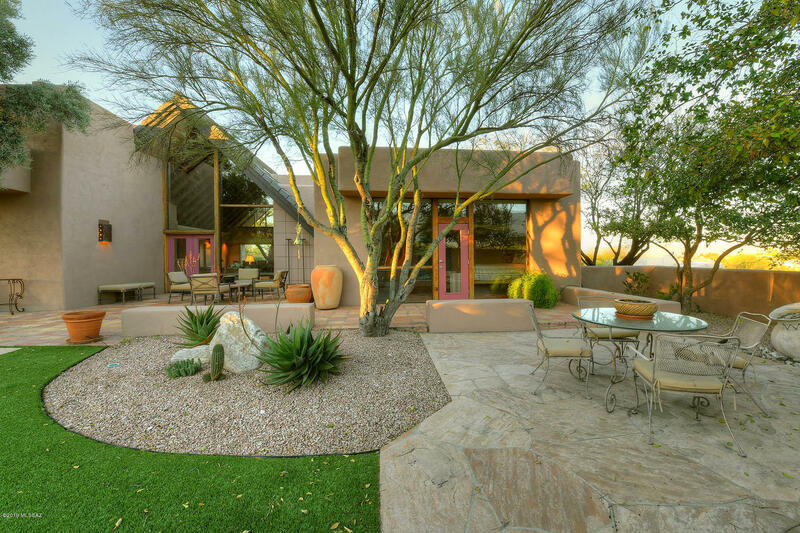 One owner well loved & maintained home. 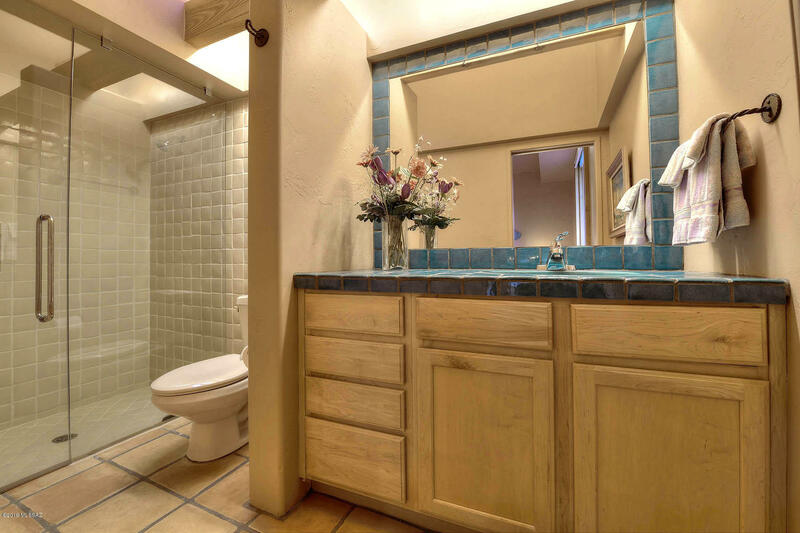 Directions: Sunrise/Hacienda Del Sol S, Thru gate & E on Placita De La Jolla Del Sol to home.